A vibrant new look inspired by Texas' colorful history! When you think about Texas history, what comes to mind? ​For us, the answer is simple. Our history is full of stories that are colorful, unique and inspirational. Texas history makes us want to explore and learn more -- and to have fun while doing so! 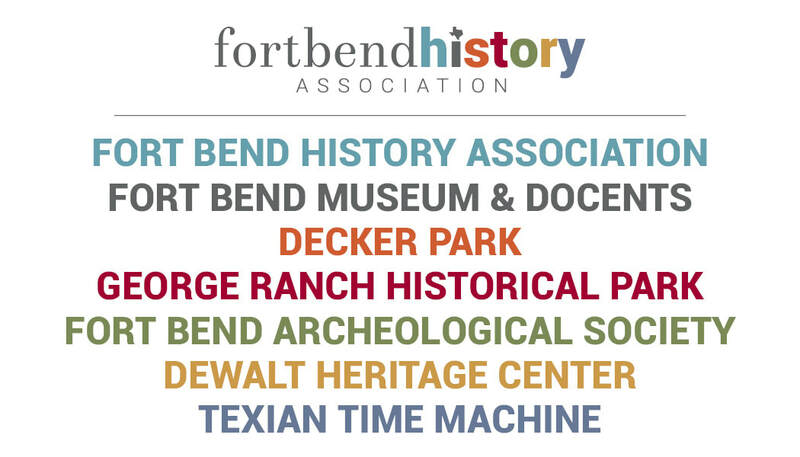 History (especially Fort Bend County history) is anything but boring -- and it's a joy to bring that history to life each and every day here at the Fort Bend History Association. The first part of our new visual identity is a throwback to an old-fashioned typewriter. It's classic, timeless and scholarly -- the solid foundation of any good historical society. The second half is Texas history -- alive, colorful and exciting! Learn more about our 50-year history here, and then join us to preserve, educate and inspire for the next 50 years!